Automatic machines for bundling in stacks multipacks of 1x2, 1x3 or 1x4. Compact machines designed for all sizes of varied products (soft and rigid packaging). Bundling is made by applying a U-shaped adhesive strip to the products. Ideal for food, home & personal care products. Automatic machine for bundling multipacks of 1x2, 1x3 or 1x4. Compact machine designed for products of all sizes in rigid or soft packaging. Bundling by applying two adhesive strips, one on top, one underneath. 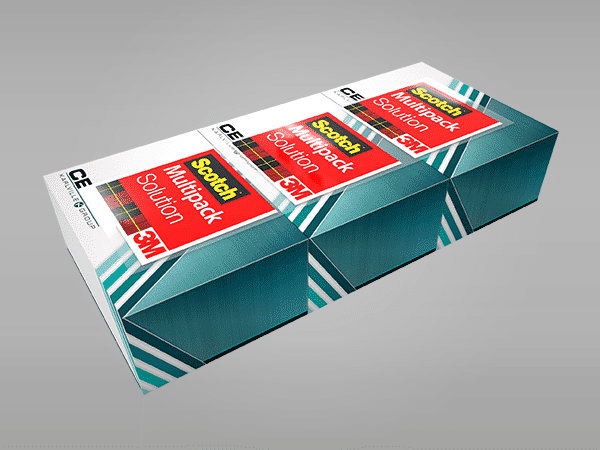 Ideal for bread, cookies, and other baked goods, toothpaste boxes,.. (Model BAO202V applied on strip of tape on each side- ideal for OTC and similar boxed products, flow packs of wet wipes). 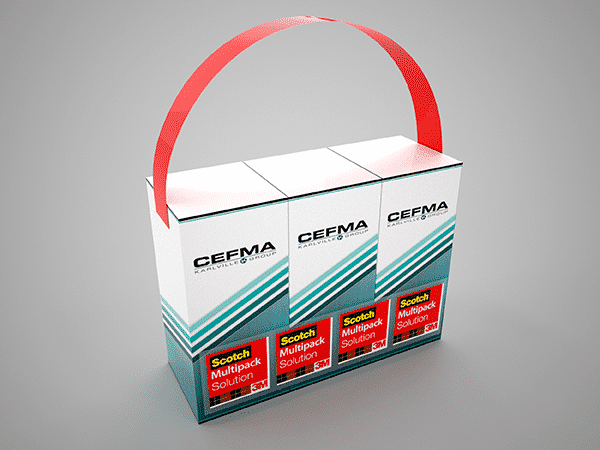 Automatic machine multiple formats for bundling ‘in-line’ standing up products multipacks of 1x2 1x3 or 1x4. 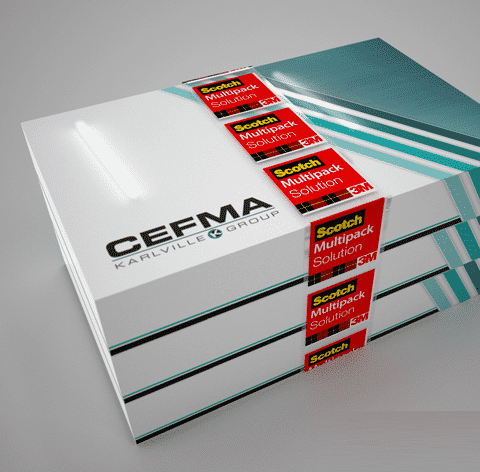 Application of 1 adhesive strip on each side of the products, with optional ‘flaps’ leading or trailing edge. Can be combined with a handle. Ideal for drink cartons and similar size boxes.